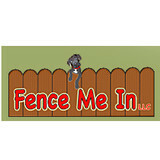 Fence Me In, LLC Richmond is a fence company dedicated to the customer. We do our absolute best to ensure that each and every customer is happy with their new fence, fence repair job, or other project. We want you to be completely satisfied with our product and work and that you have complete peace of mind and confidence in referring us to a friend or neighbor. 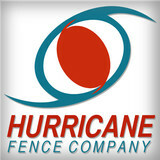 The Hurricane Fence Team has more than 150 collective years of experience in fence installation, industry leadership, and project management. We know that all parts of a small business need to work together to stay up to date with the innovations and nuances of the ever evolving fence industry. 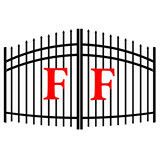 Fredericksburg Fences is a family and locally owned business serving the Fredericksburg region. We have over 10 years experience in the Professional Fence Installation Industry. We install standard and custom built fences for residential and commercial customers. If your Fence preference is Aluminum, Chain Link, Wood, Vinyl, and your purpose is Privacy, Picket, Security or Beauty, please consider us. We provide free specialized on-site consultations by experienced, trained, and insured professionals. At the time of your appointment, you are given a competitive written estimate. Our promise is to build you the highest quality fence possible for a reasonable price with the least amount of inconvenience to you, our customer. We give you the best service possible by providing a free estimate in a timely manner from our sales consultant Bill Winters. Bill began working in the fence industry more than 20 years ago as a helper and worked his way up. His years of experience enable him to advise and guide our customers to the fence that best suits their needs. Our contracts are printed with our terms, conditions, warranties and responsibilities to give our customers a clear and complete understanding of what they can expect to receive. We give the customer an "Install Week" at the time of the contract signing and guarantee that we will be there that week if not sooner, 100% of the time. Before we start your fence, our field supervisor Sput Jennings will come to the customers' location. He has more than 30 years of fencing experience and will locate your property lines and lay out string lines so that you can approve the location, before we begin installation. Fabricator and installer of custom ornamental iron work. Backyard Boys Enterprise, LLC has become the established and experienced company you expect when hiring for your property projects. We are based in Palmyra, VA and service anywhere we're needed. Our services are open to the residential, agricultural and commercial markets. Backyard Boys' goal is to assist you in making your vision of your property a reality. From a simple general clean up to a total over-haul, we offer a service to fit your budget and specific needs. Backyard Boys is driven by the philosophy of a "can-do" attitude using the most efficient and cost effective system for the task at hand. 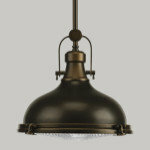 We strive to offer you the best professional analysis, design implementation, and workmanship found anywhere. The crews here at Backyard Boys Enterprise pride ourselves on the honesty, reliability and quality we instill in all of our tasks. Guaranteeing you "Satisfation Start to Finish"
Create the property of your dreams with services from the fencing contractors at Joe Phillips Fence Co. in Madison, Virginia. Established in 1973, our family-owned-and-operated company offers fencing installation and repair services for chain link, PVC, vinyl, aluminum, wood, woven wire, and farm fences for residential and commercial customers. We also offer custom fencing and automatic gates. All of our durable, high quality fences come with a two-year warranty on material and labor. We provide Aluminum Rail Fencing in 3 different colors and several different styles and sizes. Black 2 Rail 4 ft x 6ft fence panel only $49.00! I’m a liscence and insured Fence Contractor. I have 17 years experience in residential fence installation. 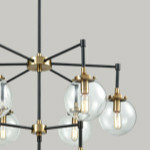 I have 2 other employees and we specialize in 100-500 ft jobs! 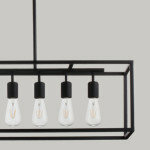 Board, woven wire, high tensile. We build fence to NRCS and Virginia Forage and Grassland Council standards. 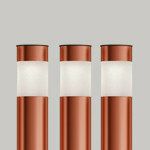 Only the best quality materials are used and posts are driven to attain maximum strength. Virginia Rural Services difference is our clear and thorough communication. If you prefer great communication during the process, please give us a call. We are a privately held company in Ashland, VA proudly doing business for 8 years. Whether you need to secure your yard or just add some decorative flair to your landscape, fences are an integral part of a home’s exterior and curb appeal. Given their security and aesthetic importance, they need to be designed, installed and repaired correctly — luckily, fence contractors in Maidens, VA can help. From devising custom fence designs to general fence repair and maintenance, these pros will have your fencing looking fancy in no time! Your Maidens, VA fence installation and repair professional will work with you to create your ideal fence. 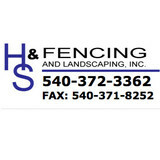 Find a fence contractor in Maidens, VA on Houzz. 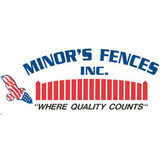 Narrow your search in the Professionals section of the website to Maidens, VA fence contractors. You can also look through Maidens, VA photos to find examples of fencing and gates that you like, then contact the professional who worked on them.